Katherine Bateson-Chandler- 908-391-9096, Chandlercarlos@aol.com, www.KBCDressage.com Lessons, Clinics and finding the perfect matched horse. Heather Bender - 561-596-1515, tcdhkb@gmail.com, www.HeatherBender.com Our goal at Treasure Coast Dressage is to help you realize your dreams! Heather will customize a training program to fit your needs and budget. Jennifer Benoit - 561-309-7300, www.seahorsewellington.com Board, Sales, Instruction, Training, Showing, Appraisals and Judging services. Marco Bernal - 561-906-5069, Maberdressage@hotmail.com Special quality training for horses and riders. Amy Bock - 561-247-4337, amy@amybockdressage, www.amybockdressage.com Full & Partial dressage training, Seasonal dry stall, Shows, Clinics, Lessons - trailer in or travel. Jan Brons - 561-889-8516, JBdressage@hotmail.com, www.JBdressage.com, Teaching, Training, Clinics, Showing all levels. Chanett Chemnitz - 720-442-2838, Chemnitzchanett@gmail.com. Dressage training from youngsters to FEI. Raul Corchuelo - 561-541-1372, www.rancor-dressage.com -Raúl Corchuelo is based at IDA Farm in Little Ranches. Lynne Kimball Davis - 561-312-2045, LKDbronko@aol.com British Horse Society Intermediate Instructor freelance trainer will come to you. Heidi Degele - 561-294-4118, HeidiDressage@aol.com, www.heididressage.com, Imports quality FEI sales horses for dressage amateurs. Located in Deer Run. Micah Deligdish - 321-271-1586, MDeligdish@gmail.com, www.GeminiDressage.com, Training thru Grand Prix at private dressage facility. Offers off site lessons and training, Sales of Top quality PRE's and warmbloods. Luis Denizard - 401-595-5595, dressage.a.delante@gmail.com, www.Delantedressage.com, Training of all levels, Boarding, Coaching, Shows. Shannon Dueck - 561-723-1374, sldueck@yahoo.com, www.DueckDressage.com, Full board and training of horses and riders from green to Grand Prix. Sales of special dressage horses. Alexandra Duncan - 561-797-9370, alex.dressage@gmail.com, www.alexandraduncan.net, Training, Sales, Clinics, Beginers to GP. Located at Palm Beach Equine Sports Complex. Camilla Fritze- 310-924-1220, camilla_fritze@msn.com, www.galavantequestrian.com European tradition dressage and equitaion. Lessons, Coaching, Showing, Clinics, Sales and consultaion. Nicholas Fyffe - 561-249-9011, nicholas@marcusfyffedressage.com, www.marcusfyffedressage.com, MFD offers full training, sales, show coaching and clinics to their clients. Horses in full training benefit from impeccable care at Stillpoint Farms in Wellington. 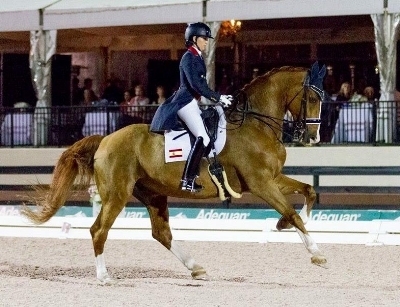 Bent Jensen- 561-723-5597, BJDressage@aol.com, Training thru Grand Prix Nationally and Internationally. Lisa C. Lewis - 609-670-5958, Barnrat5958@yahoo.com, Lessons, Training, Boarding, Sales. Will travel or you can trailer in. Specializing in Adult Amateurs. David Marcus - 561-797-5829, david@marcusfyffedressage.com, www.marcusfyffedressage.com MFD offers full training, sales, show coaching and clinics to their clients. Horses in full training benefit from impeccable care at Stillpoint Farms in Wellington. Hannah Michaels - 207-333-1572, Dressage@hannahmichaels.com, www.hannah-michaels.com Offers Full Training from young hoses to Gran Prix. Classical training that focuses on rider position. Kerensa Muller - 561-758-8101, kmuller3@yahoo.com, Dressage Training- Specializing in creating harmony between horse and rider. Claudio Oliveria - 561-818-6045, Claudio.horse@hotmail.com, www.Serenitydressage.com Training, Lessons, Long Lining, In hand work for piaffe and passage. Will travel to barns. Endel Ots - 920-562-5714, endelots@gmail.com, www.EndelOtsDressage.com Offers full training, Sales, Show Coaching and Clinics. Susan Remondini - 561-901-5800, scremondini@gmail.com, www.qecdressage.com Offering quality and classical dressage instruction, training, clinics & evaluation of horses for sale. Sales and Marketing of quality dressage horses. Jessica Rhinelander - 561-315-2477, info@jrhinelander.com, www.JRhinelander.com Jessica Rhinelander operates Rhinelander Equestrian Services out of Champion’s Gate, a full service boarding and training facility in the heart of Wellington, FL. 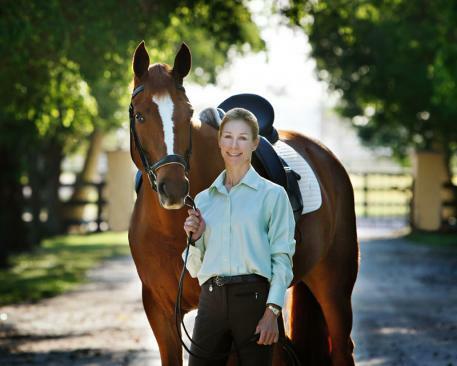 Jessica specializes in coaching Para Dressage riders from introduction to Para sport to the national team level. Jessica has been the personal coach of a number of riders who have represented their country at the Paralympics and World Equestrian Games. Shaana Risley - 561-818-4857, ShaanaRisley@gmail.com, Facebook.com/FriezeFrame, Training, Boarding, Photography at show or farm. Specializing in PRE's & German riding ponies. King Santacruz & Natalie Regel - 304-905-3559, info@santacruzdressage.com, www.Santacruzdressage.com Boarding: year round and seasonal, training, sales, show coaching, braiding, breed show & inspection handling. Allyn Schiavone - 561-371-6885, allynschivone@bellsouth.com, Training and teaching all levels. 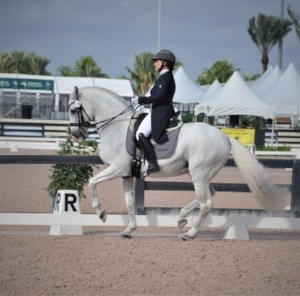 Robin Shehan - 410-310-1291, Robinshehan1@gmail.com USDF Gold and Silver Medalist, Owns and operates small boarding/instruction dressage facility in Loxahatchee, Fl. Oded Shimoni - 561-308-7778, osdressage@gmail.com, www.odedshimonidressage.com Oded accepts horses in training, conduct clinics, and promotes sales horses. 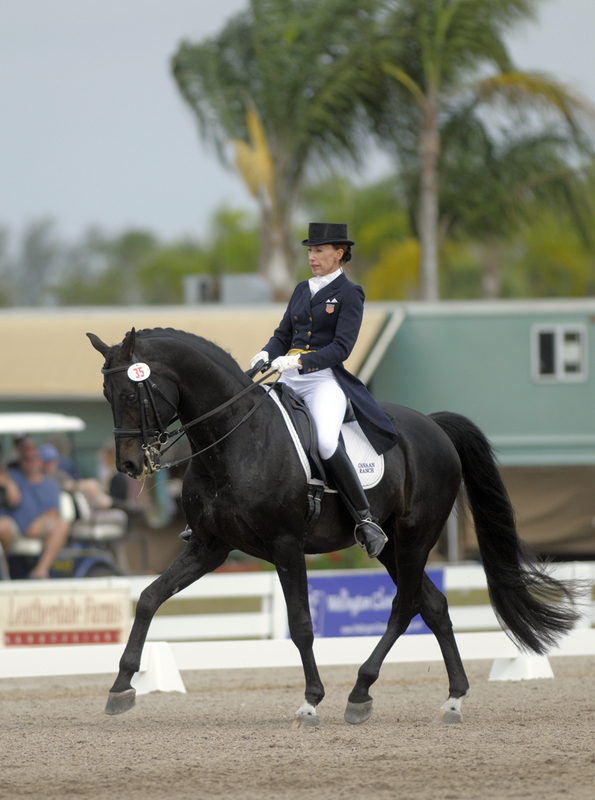 Amy Speck-Kern - 414-550-1176, Amy.speckkern@gmail.com, www.exceldressage.com USEF “r” licensed official. Training, Lessons, Sales of Top quality European horses. 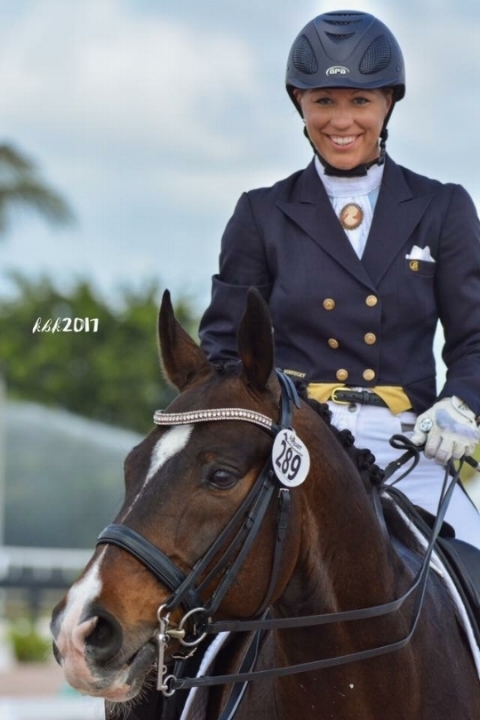 Bianca Tota - 203-252-8531, tophorseinc@gmail.com, www.excelsiordressage.com We specialize in sales of top quality dressage horses! From super up and coming young horses to FEI Grand Prix horses. But also offer seasonal boarding. Betsy Van Dyke - 231-357-2778, Betsyvandyke@hotmail.com, Trained horses up through the dressage levels from Taining Level to Gran Prix. From starting young horses, to dealing with specific taining issues, to finishing the Grand Prix. Noel Williams - 740-272-6579, NoelWilliamsDressage@gmail.com Training, Sales, Lessons, Clinics and Judging. Specalizing in young horses and developing to Grand Prix. Dakotah Thiery - Advanced Thiery Equine Dentistry - 561-723-4980, Advancedthiery@gmail.com, Dedicated to providing high quality dental care to all discipline's of the equestrian feild, focusing on whole mouth balancing to maintain strength, integrity allowing them to preform comfortably and excel in all aspects of life.